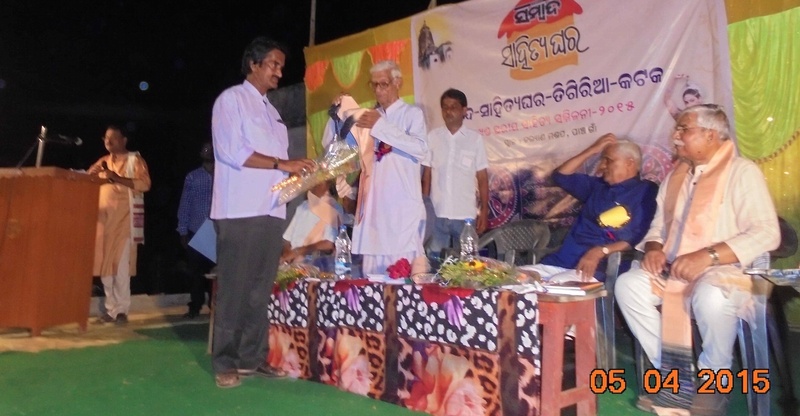 Sambad Sahitya Ghar had recently organized a poets meet at Panchagan of Tigiria. It started with standing honor to the founders of the linguistic State to the tune of Bande Utkal janani, the State Anthem. Addressing the meet as the chief speaker, Tigiria born eminent journalist Subhas Chandra Pattanayak recalled the splendid contribution of this ex-State to literature and culture of Orissa. He called upon the poets to write against superstitions, economic contradictions and ills of administration; because our people need freedom from perpetrators of their degradation and poetry can emancipate. He recalled how poetries had helped unification of divided Orissa and how poetries had inspired unarmed people to make their supreme sacrifices to force the British to leave India. Every epoch in the long history of human emancipation is generated by and celebrated with poetries, because poetry alone causes the vibration that concusses the conscience and jerks the society out of slumber to proceed towards progress, he said. 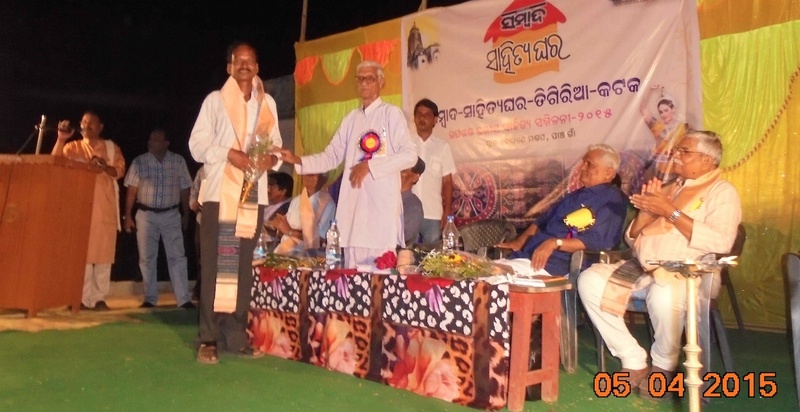 Poets of the Athgarh Sub-Division comprising Athgarh, Tigiria, Baramba and Narasinghpur had joined the meet. Presided over by educationist Basant Kumar Mishra, the conference was addressed by Hemant Kumar Das, former Director of Treasuries, Government of Orissa, who was the Chief Guest. 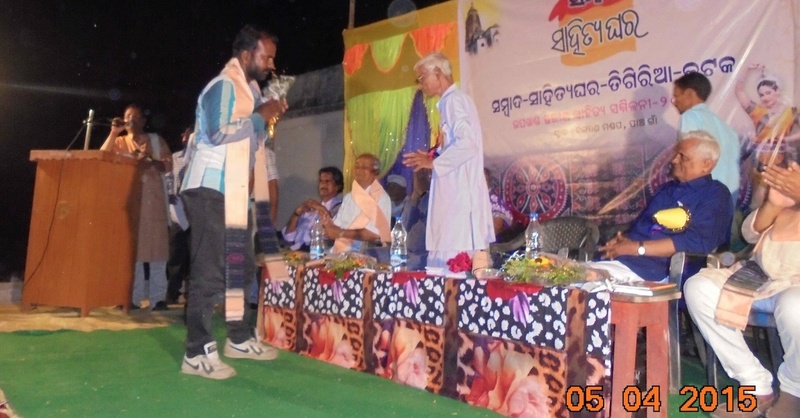 He welcomed the noble initiative taken by the Sambad newspaper organization to enhance literary activities through Sahitya Ghar movement which is akin to Bhagavat Tungi movement of sixteenth century in Orissa. Poets should always aim at equipping people with ideas to make best of their contributions to evolution of a just society, said Das. 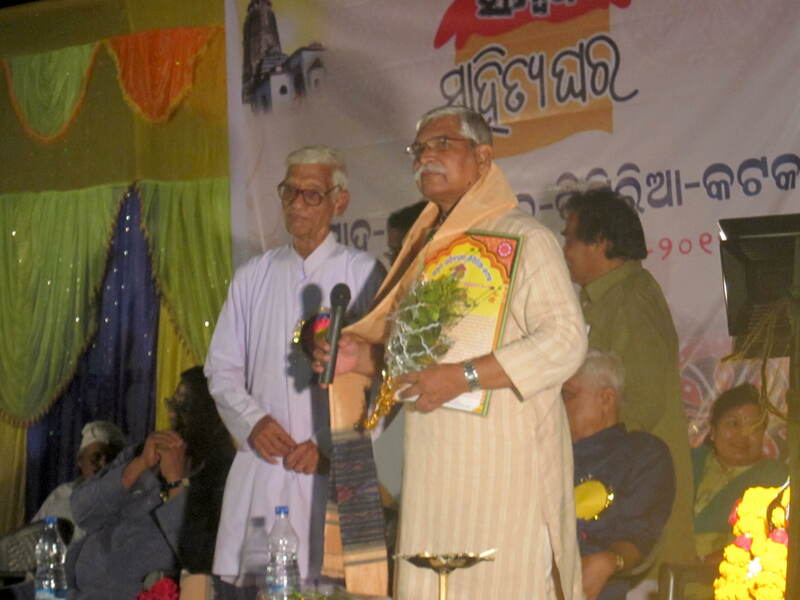 Former member of Rajyasabha, Subas Mohanty expressed profound satisfaction over the huge gathering in cause of literature. 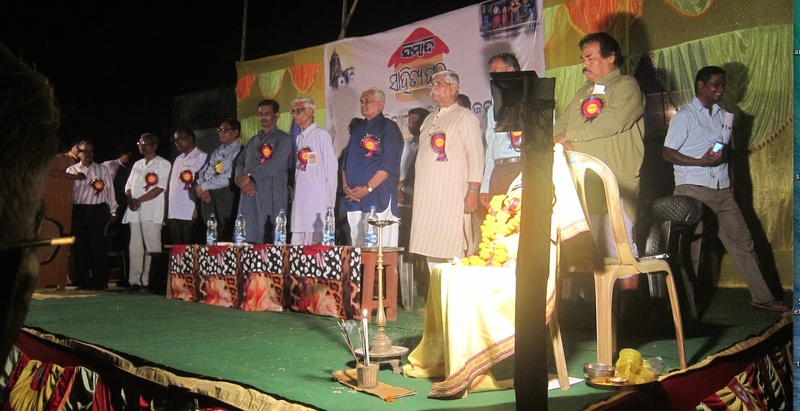 Sambad Sahitya Ghar movement is an excellent instance of corporate responsibility towards the society, he said. Others who addressed the gathering included Ttrilochan Mohapatra (President, Sambad Sahitya Ghara, Narsinghpur), Duryadhan Barala ( President, Sahitya Samaja, Narsinghpur), Pramod Kumar Das (President, Sambad Sahitya Ghara, Athagaeh), Narayan Patra (President Sambad Sahitya Ghara, Maniabandha, Baramba), Dr Lokanath Swain (Principal, Nilamadhab Collage, Kantilo), and Bishnu Charan Paikray (Co-ordinator, Sambad, Athagarh). Popular poets of the Sub-Division who recited their latest poetries included Rabinarayan Barik, Narasinghpur; Sabita Sahu, Maniabandh; Pt. Suryanarayan Mishra, Baramba; Kailas Chandra Jena, Baramba; Sarangadhar Jena, Athgarh; Smt. 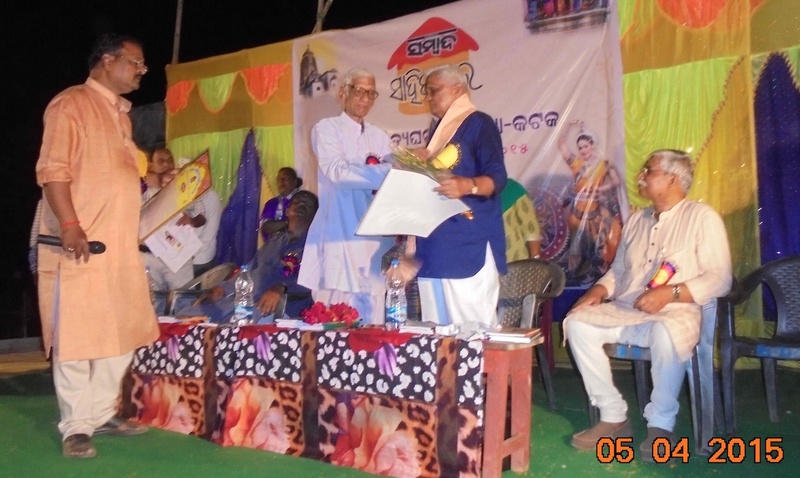 Minamali Mohanty, Athgarh; Duryodhan Baral, Baramba; Adv. Pranakrushna Dash, Athgarh; Adv. Adwaita Charan Panda, Tigiria; Prafulla Kumar Mohapatra, Kanpur; Chandra Sekhar Mohanty, Baramba; Jagannath Barik, Baramba; Kuntala Behera, Cuttack; Adv. Surjyanarayan Mohanty, Tigiria; Sarat Chandra Majhi, Tigiria; Surendra Kumar Dutta, Cuttack. 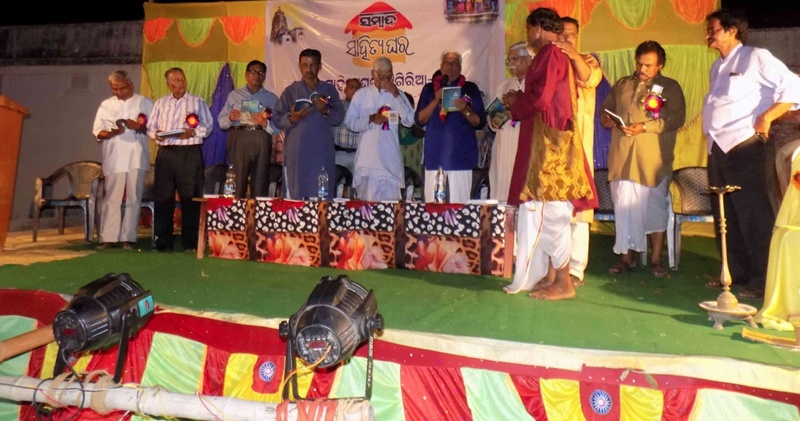 Chief Guest Hemanta Kumar Das and Chief Speaker Subhas Chandra Pattanayak also recited their poems. 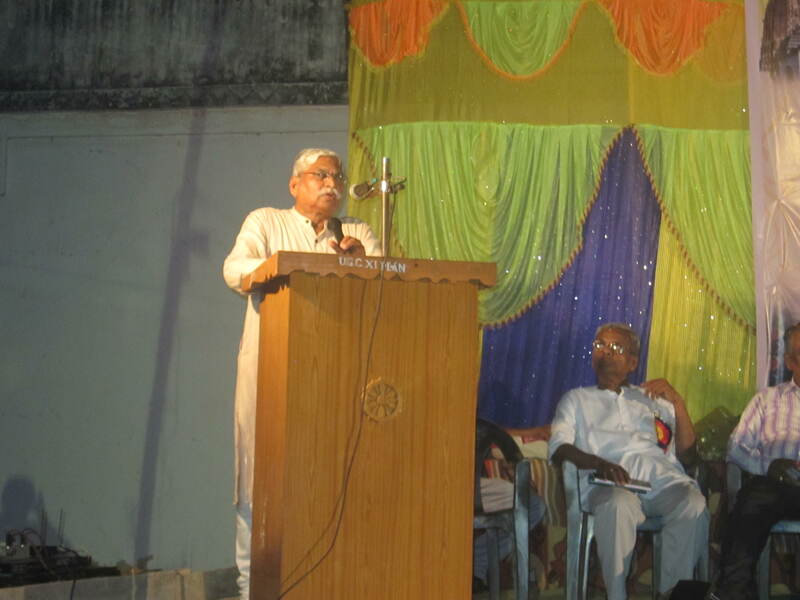 Sarat kumar Majhi co-ordinated the poetry presentations. Three new books were released on the occasion. Those were Niraba Pratikriya by Harekrushna Pattanayak, Tume Pade by Ms. Parbati Pradhan and Mo Ga’n Bindhanima by Joginath Dash. Three illustrious sons of Tigiria – Hemant Kumar Das, Subhas Chandra Pattanayak and Subas Mohanty – were felicitated on the occasion. 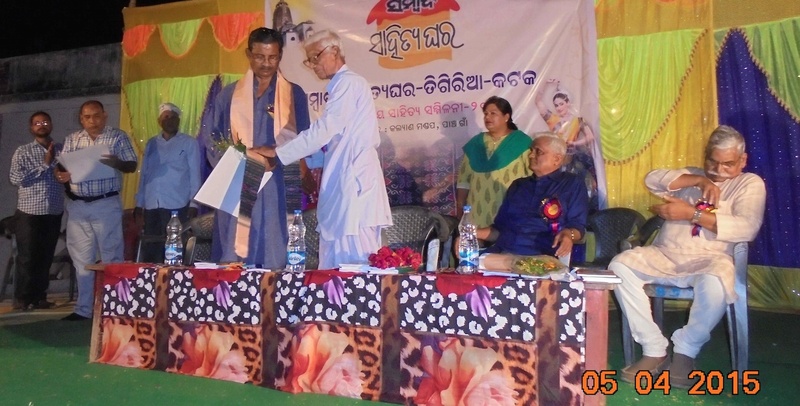 In replying to felicitation Sri Subhas Chandra Pattanayak expressed pride over his birth in Tigiria, the land where the tie and die Khandua has also its place of origin in Nuapatna and where the scripture of Odissi dance ‘Abhinaya Darpana Prakasha’ had been authored. Tigiria is not only the birthplace of Pt. Bhubaneswar Badapanda, whom Sir Basudev Sudhala Dev as well as Chandrasekhar Samanta Singhar (Pathani Samanta) owed their knowledge, but also is the birthplace of Gopinath Tunga, author of Veera Sarvasva, the famous scripture of warfare, Tigiria is not only the birthplace of Prof. Jayakrushna Mishra – the author of last millennium’s only Sanskrit Mahakavya Matrumukti Muktavali, but also the birthplace of world famous philologist Dr. Devi Prasanna Pattanayak whose scholarly perseverance has brought for Oriya the Classical Language status. To take birth in such a place is the factor of his pride and happiness, he said. Some of the newspaper reporters of Tigiria were honored. 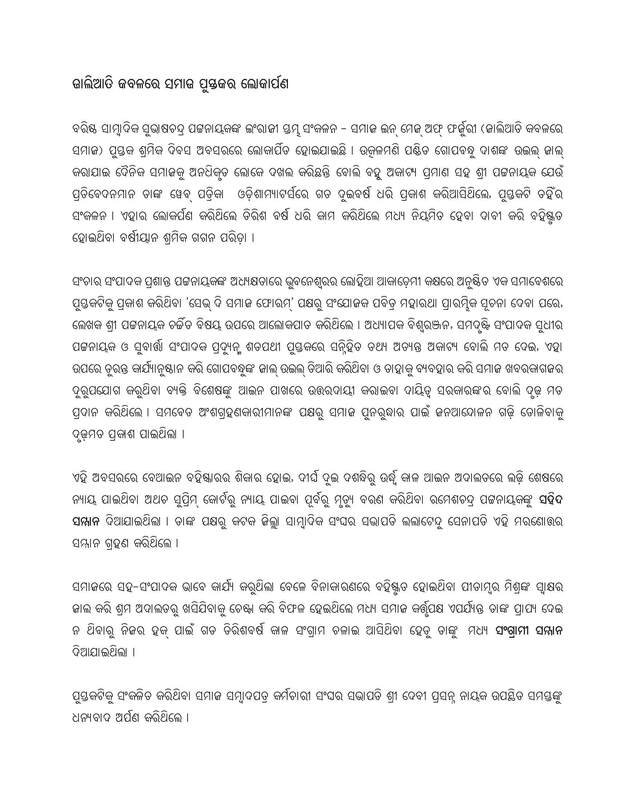 They include: Radha Mohan Mohapatra (Repoter The Dinalipi), Pravat Kumar Swain (Repoter The Samaj ),Jafar Khan (Repoter The Dharitri) and Rajkisore Behera (Repoter The Pramaya ). 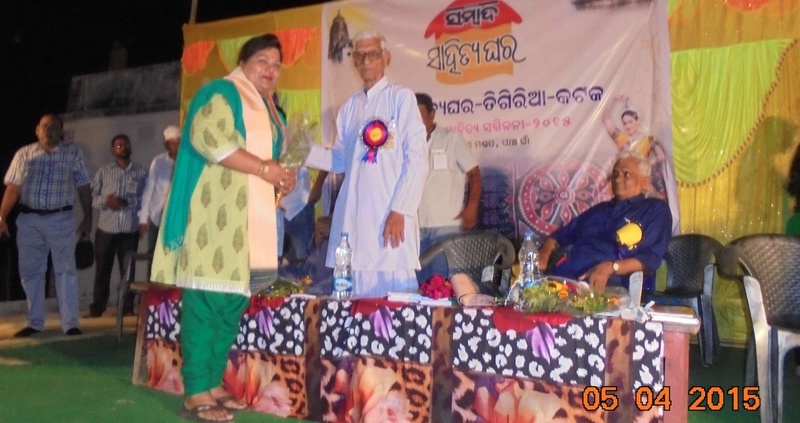 Tigiria born eminent lawyer practicing in the High Court of Orissa, Ms. Sadaya Laxmi Pattanayak, Famous dramatist Jagabandhu Tunga Samanta, Educationist Dibakar Sahu were also honored on the occasion. Durga Devi Cultural Acedami and Durga Devi Danda Dance Party of Panchaga’n entertained the meet with excellent Odissi and Folk dances. Team of Tigirian youth under leadership of Advocate Surya Narayan Mohanty, Purna Chandra Das, Amulya Raut and other members of the Local Sahitya Ghar organized the meet.